Welcome to our Woolly mammoth section. 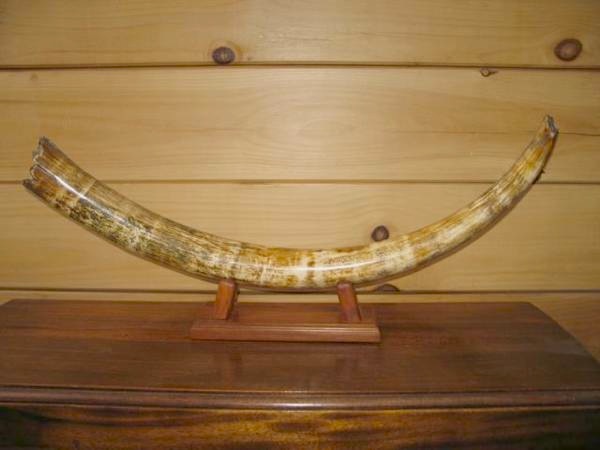 We have some of the finest quality Mammoth tusks available. At Arizona Skies Meteorites we provide high grade fossils, meteorites and rare collectibles to Museums, Educators and Private Collectors around the World. We hope you enjoy browsing through our website. To visit our home page, you can click here. We are very pleased to be able to offer the following mammoth fossils to our customers. These amazing, pre-historic specimens represent a unique piece of our past. They are from Woolly Mammoths, the last individuals of which became extinct at the end of the Pleistocene approximately 10,000 years ago. 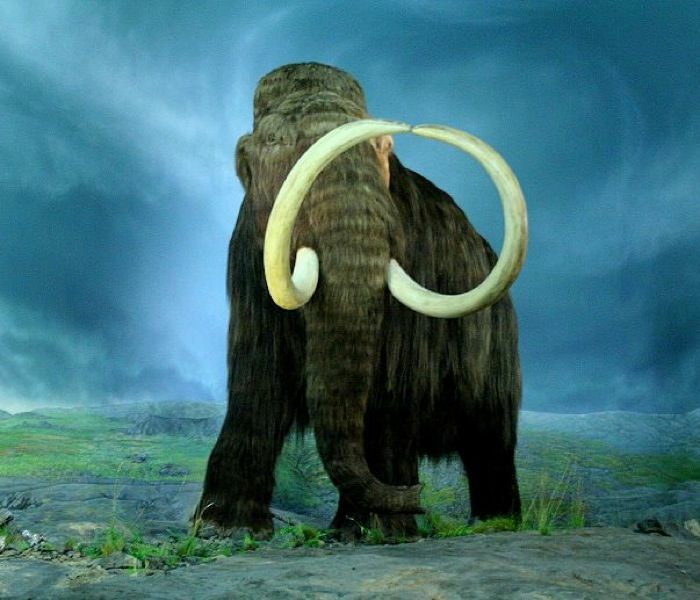 Woolly mammoths lived in herds which roamed throughout the northern hemisphere and were an important source of food, ivory, weapons, and hides for our ice-age ancestors. In fact, it is thought that humans may have driven these extraordinary creatures extinct. It is difficult to find quality mammoth fossils, and we have been very fortunate in being able to acquire these spectacular specimens from Siberia. The fossil tusks pictured below represent some of the most aesthetic, sculptural pieces of natural art that you will ever find! 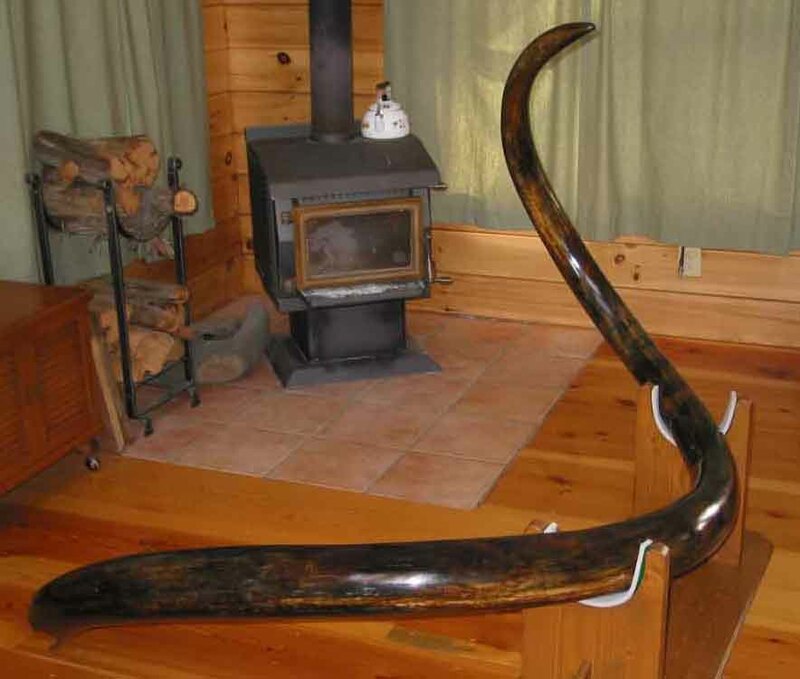 Mammoth tusks make facinating conversation pieces for the home and office, and are one of the most popular collection pieces available. No sales to New York or New Jeresey. 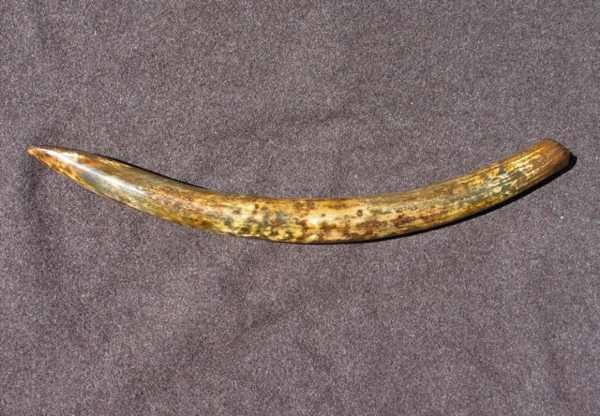 Rare, Juvenile Mammoth Tusk w/ NO Restoration! SOLD! 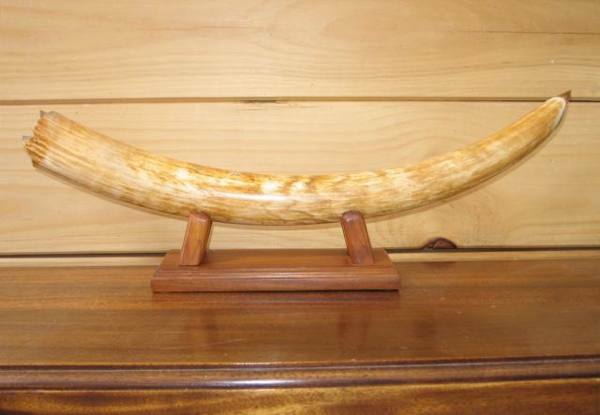 Amazing Woolly Mammoth Tusk w/ NO Restoration! SOLD! 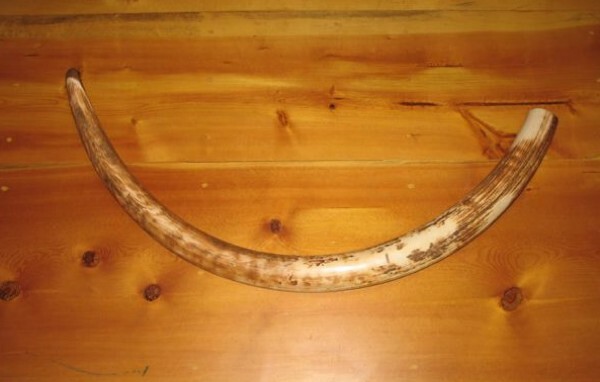 Gorgeous Woolly Mammoth Tusk Tip w/ NO Repair or Restoration! SOLD! 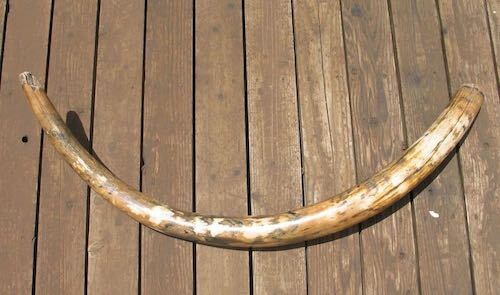 World Class, 134+ Pound fossil mammoth tusk! SOLD! The Wooly Mammoth photo is from wikipedia.org and is licensed under the Creative Commons Attribution ShareAlike 3.0 License. In short: you are free to share and make derivative works of the file under the conditions that you appropriately attribute it, and that you distribute it only under a license identical to this one. Official license.